Thankfully, the weather is getting warmer and the drinks are getting cooler. This is my favorite time of the year. I love relaxing or even working outside taking in the warmth and the sunshine. In this part of the country, we also get to enjoy the humidity! This is a simple drink that I found in Roberto Santibañez’s cookbook, Tacos, Tortas, and Tamales: Flavors from the Griddles, Pots, and Streetside Kitchens of Mexico. It originates from the east coast of México, specifically Veracruz. The drink was originally made from mixing agua ardiente (fire water) with fruit but now it is usually made with rum, cachaça or pisco. 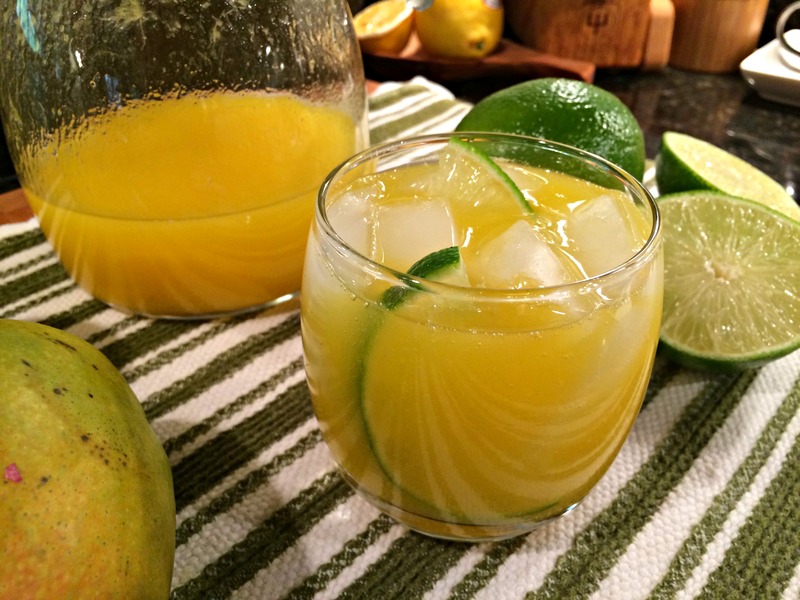 This drink is made with mango, but you can also use other tropical fruits. And you can make it as strong or sweet as you would like with just a few simple adjustments. I like mine not so sweet and with a little more lime juice. It is a very flexible drink. Some toritos also use milk and even peanuts. I will definitely give those a try this summer. 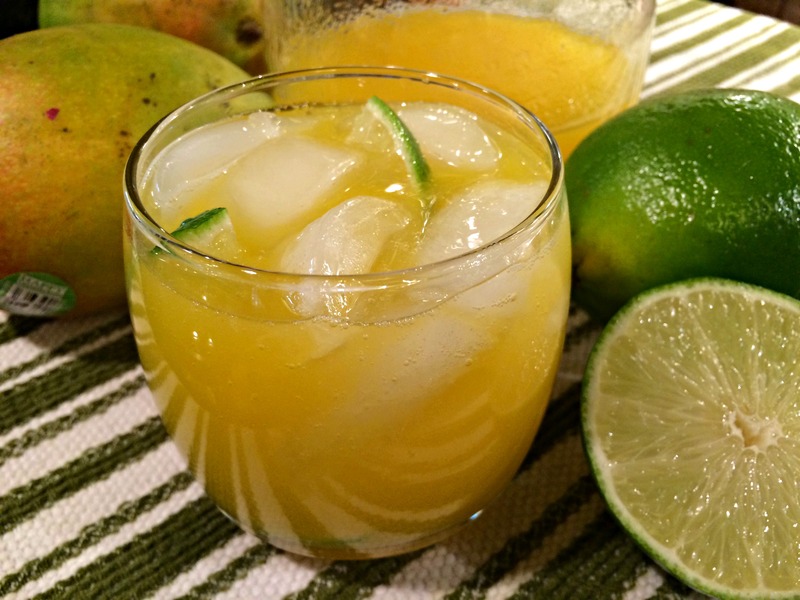 Enjoy this mango Torito on a warm spring or summer day! Cut the flesh through the skin on both sides of the pit of the mango. Cut the flesh in a cross-hatched pattern and use a spoon to scoop out the flesh into the blender. Blend until smooth. Add 1 cup of the mango puree to a pitcher along with the rum, sugar, lime juice and 2 cups of water. Stir well to combine. Pour the mango mixture into glasses filled with ice. Garnish with lime slices and serve. You had me at MANGO! What I wouldn’t do for a glass of this right now! Or perhaps a little later in the day. After all it’s just 7 AM here and I shouldn’t be quaffing alcohol this early in the morning.